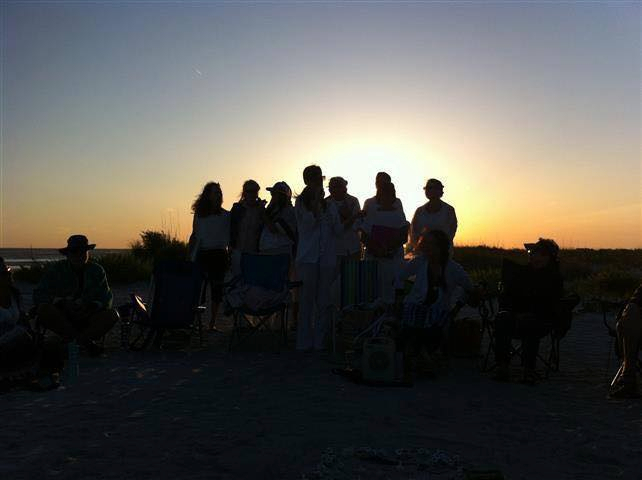 We are the Florida SunCoast Threshold Choir, serving Sarasota, Bradenton, Osprey, Nokomis, and Venice, Florida. We are a free service to the community to those in transition. We have worked with Tidewell Hospice, Sarasota Women's Meditation Circle, Sarasota Center of Light, Point Lumineaux, and The Fountains at Lake Pointe Woods. We hold rehearsals every Thursday evening in Sarasota and always welcome those who are interested in joining to sit in. We also open our doors and hearts to people with healing needs to sit in as well. If you would like to visit a rehearsal or request singers, please call Sabrina Harris at (941) 587-6191 or contact us by email.